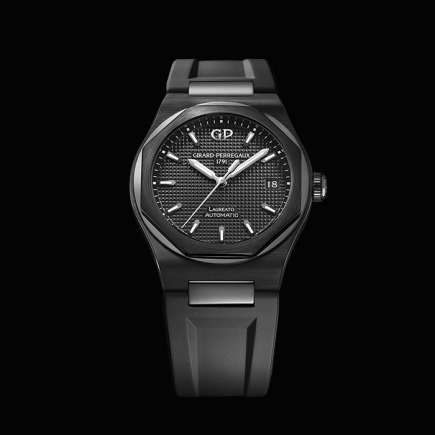 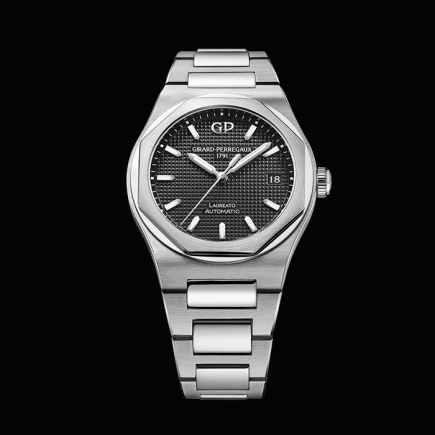 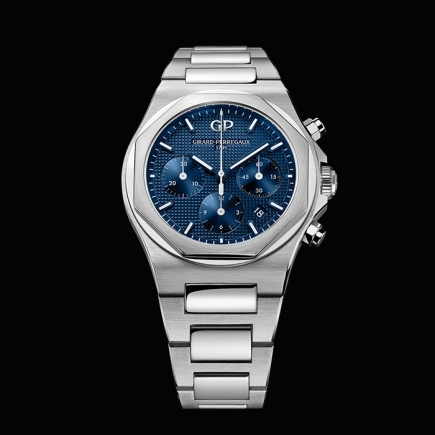 girard perregaux | 25'100 € Tax inc.
A bold design that reinterprets an icon of watchmaking tradition into a captivating high tech timepiece. 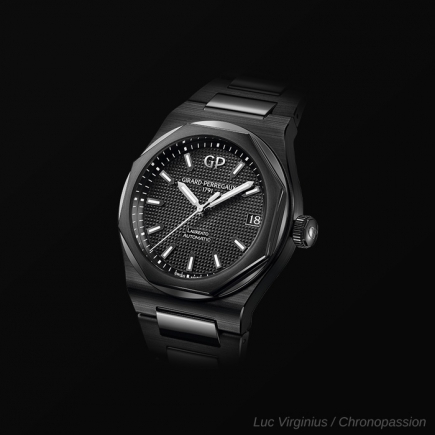 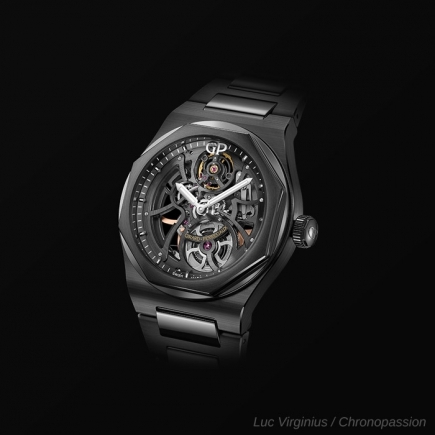 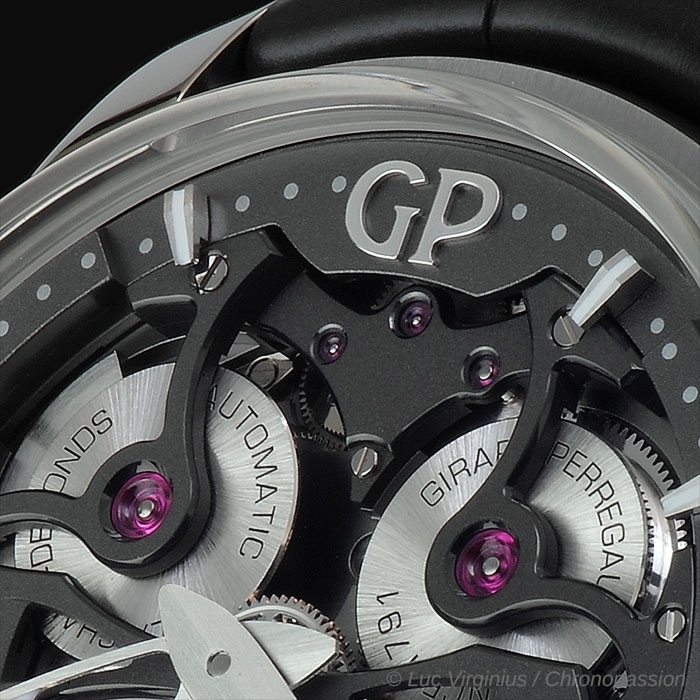 The Neo Bridges is faithful to the DNA of Girard-Perregaux: the movement is not only a technical part of the watch but also an integral part of the design which makes the Neo Bridges instantaneously recognizable. 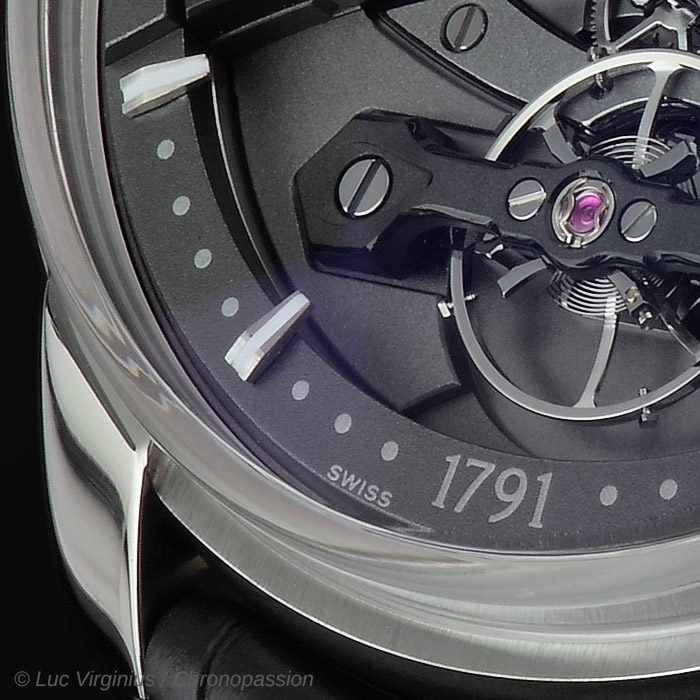 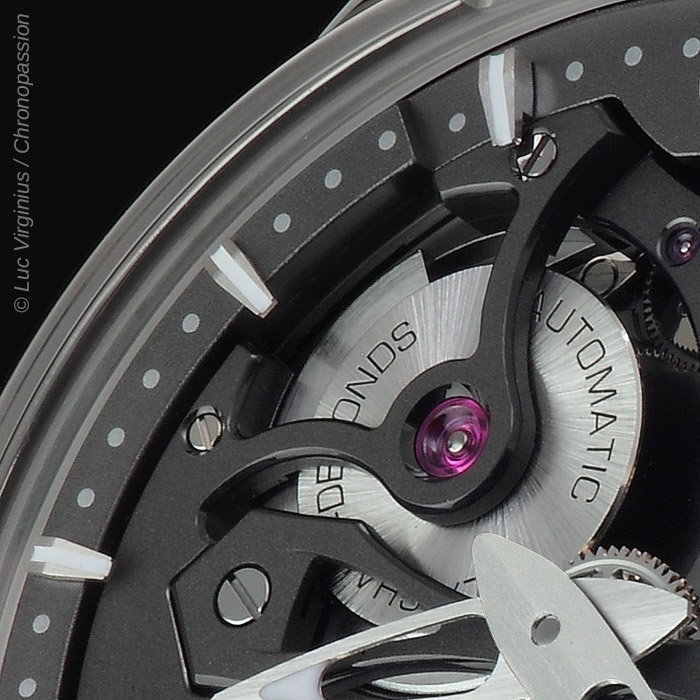 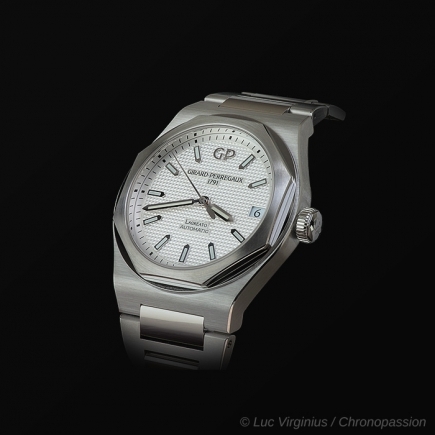 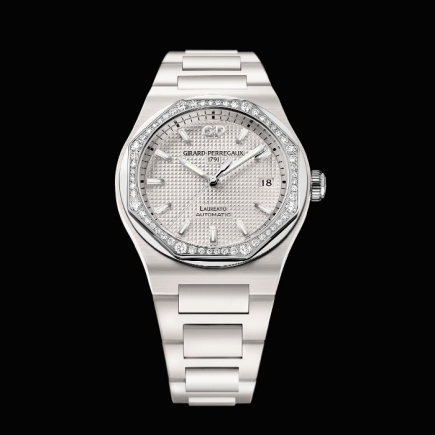 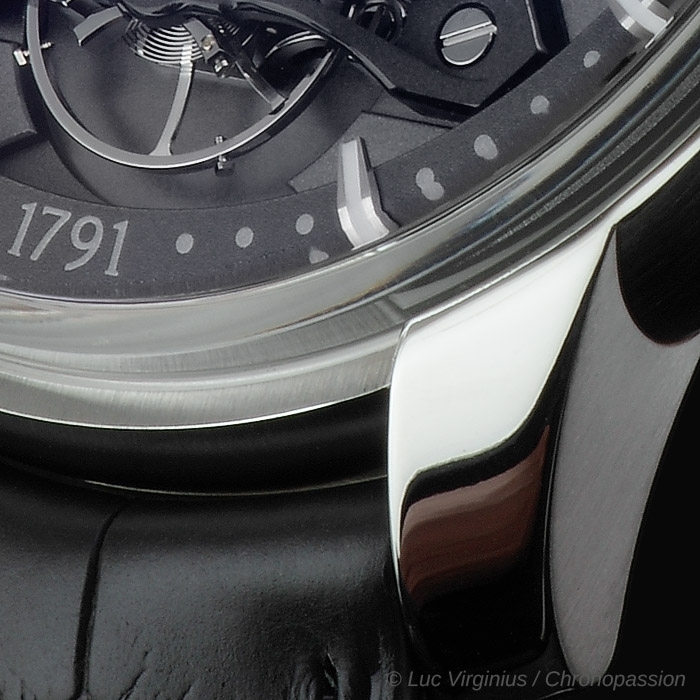 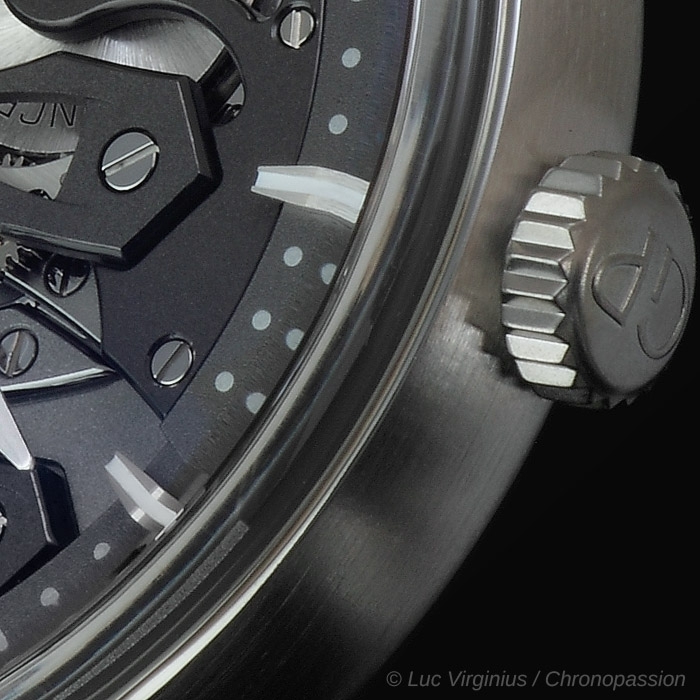 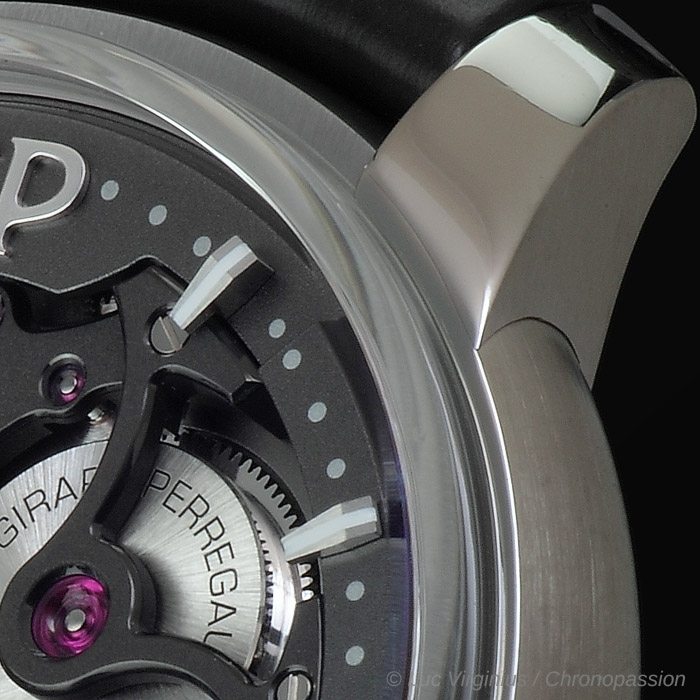 A self-winding movement with a micro-rotor at 10 o'clock visible from the dial side. 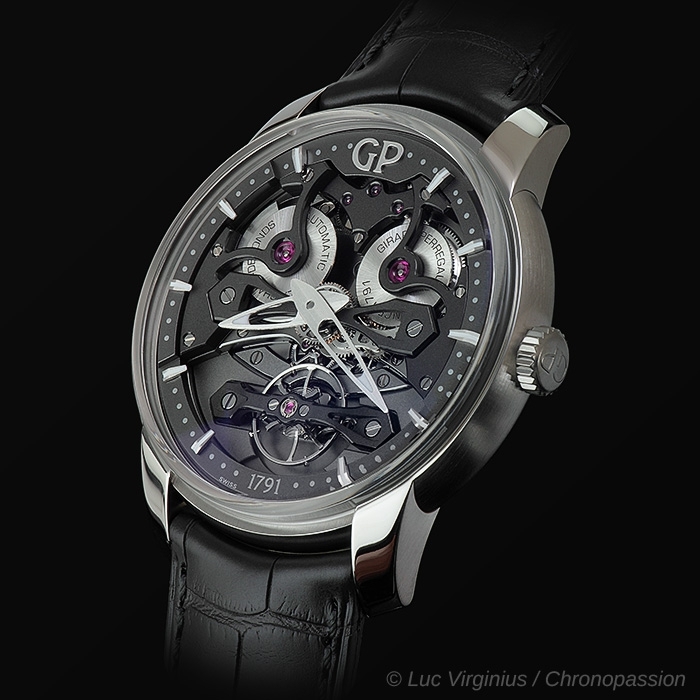 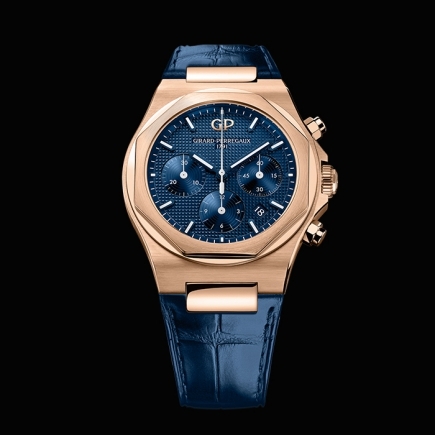 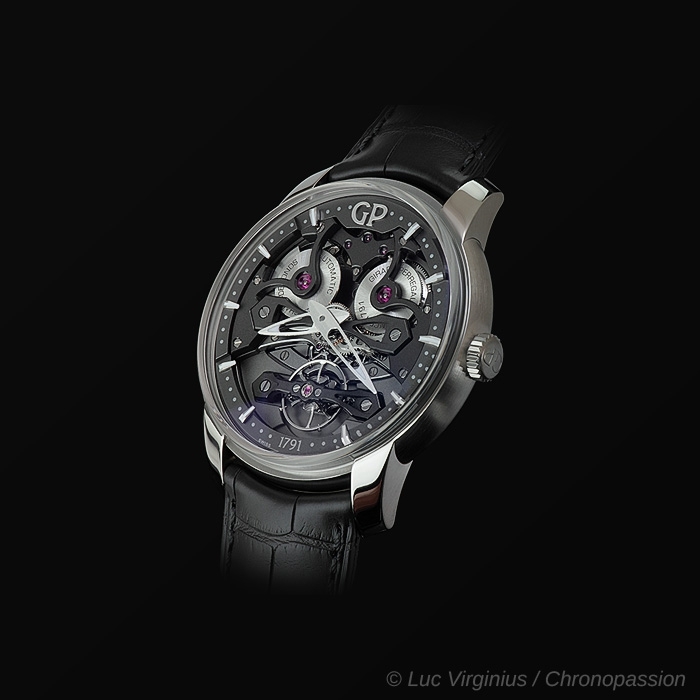 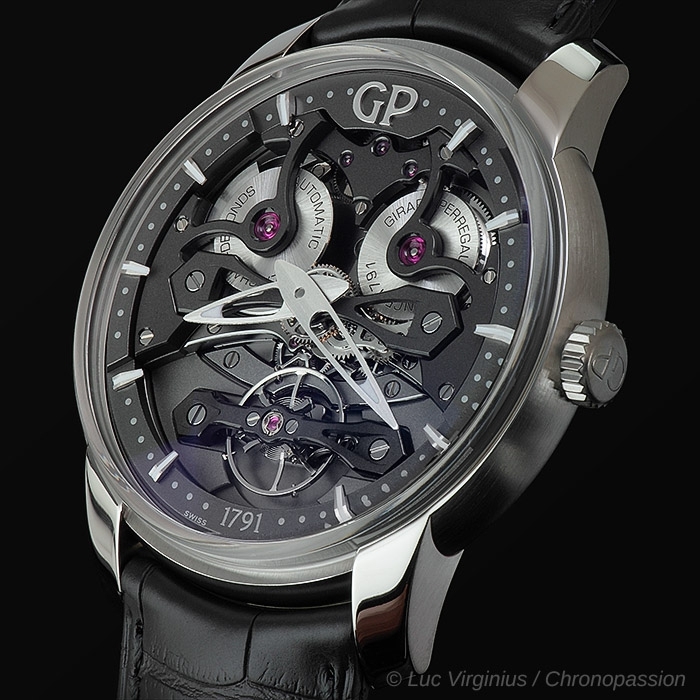 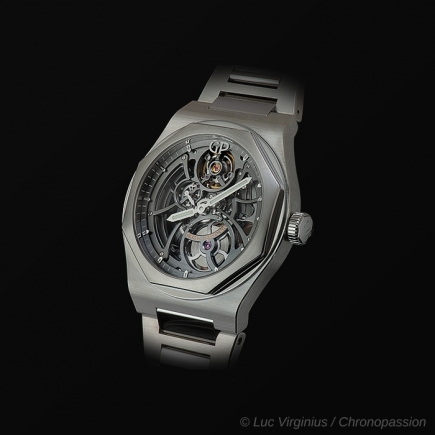 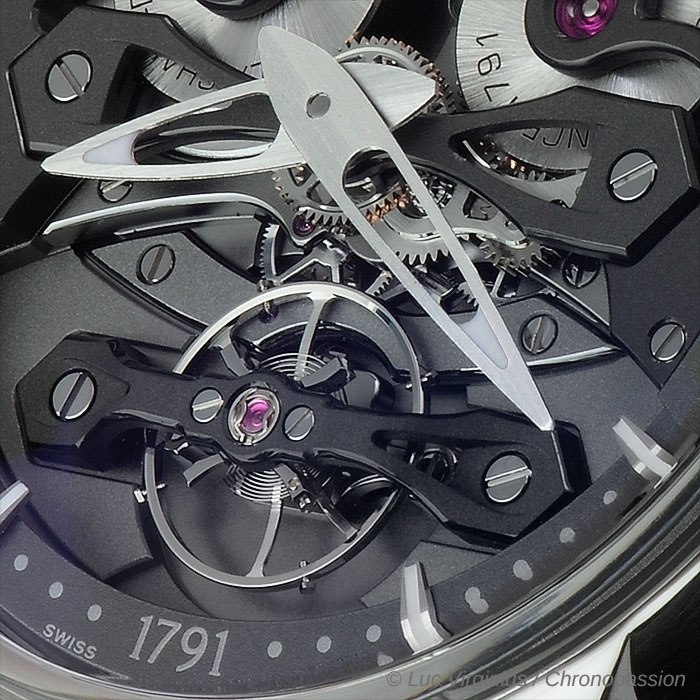 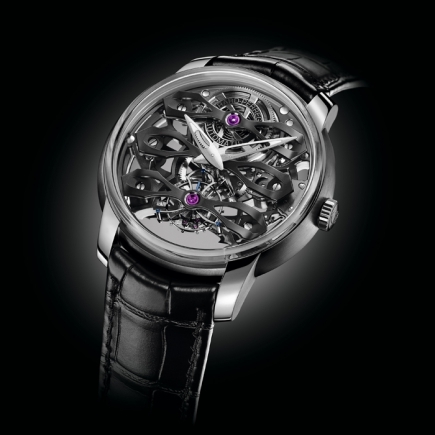 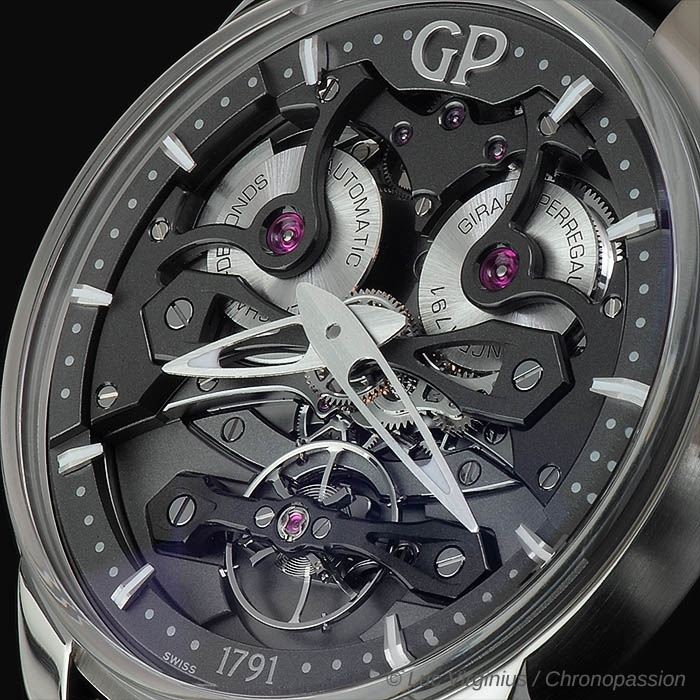 The Neo Bridge holds the balance wheel to echo the famous bridges traditionnaly holding Girard-Perregaux's Tourbillons.